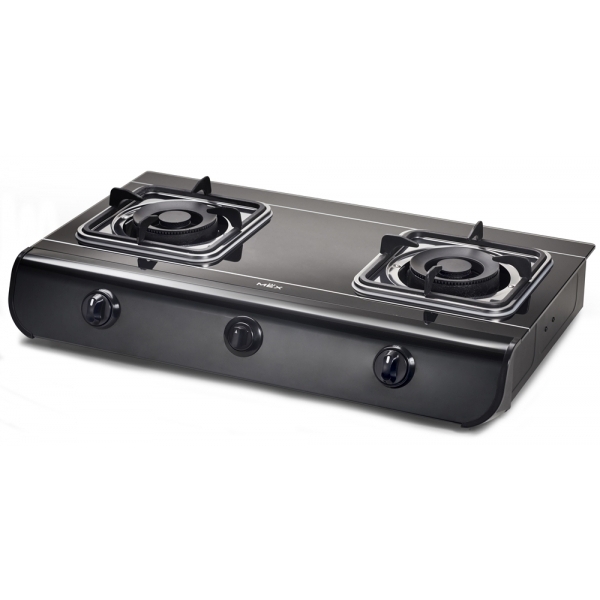 - Left : double burner 3.0 kW. - Right : Ø 120 mm. double ring black coating brass burner 3.8 W.
Dimension : W x D x H : 72.0 x 37.5 x 8.0 cm. The Appliance must be used low pressure regulator (37 mbar) only. Gross weight : 8.8 kg. Packaging size : 44.0(D) x 75.0(W) x 15.0(H) cm.